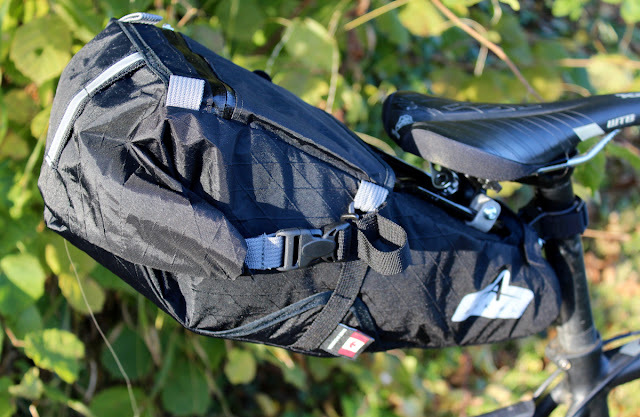 Why use a bikepacking seatpack for bike touring? Why not use panniers and a rack? The two principle reasons are lower weight, and when you have an inability to mount a rack to your frame (it might not have rack bolt bosses, or it might have suspension). First of all, I want to mention the exceptional build quality of Arkel luggage, because I have yet to test anything that compares to it. I use an Arkel TailRider Trunkbag and Randonneur Rack on my cyclocross bike for my daily commute. 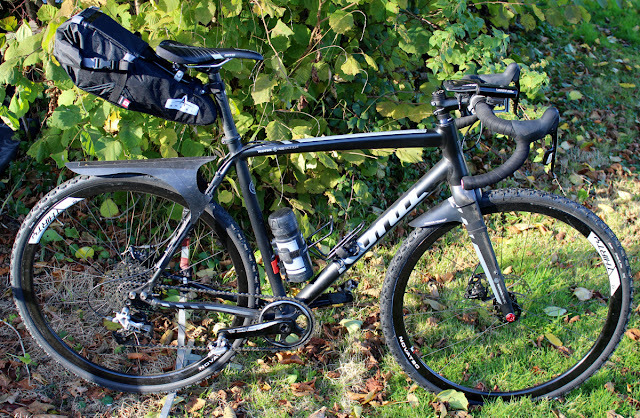 I used the Arkel Orca 25 Front Panniers and Arkel Handlebar Bag for the 'Coasts and Cols' tour. In both of these cases, the bags have taken significant use and abuse (over two years of commuting for the TailRider and Randonneur rack), yet in both cases the bags have continued to perform completely faultlessly, and show incredible durability. The kit from the Canadian brand is serious bike touring luggage, which is easily capable of round-the-world adventures, or the abuse of a daily commute. 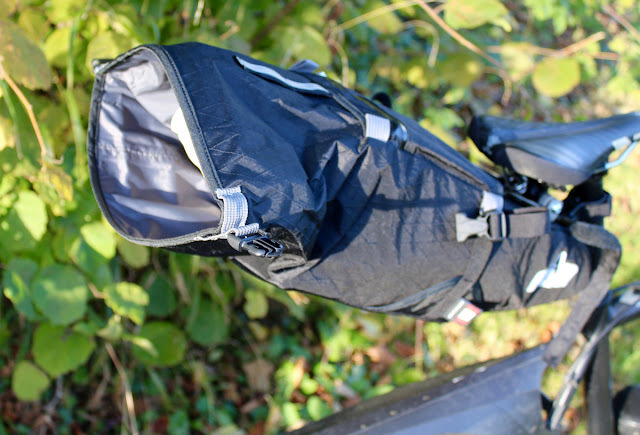 The Seatpacker seatbag follows the same trend; from the moment you fit it to the bike, it is clear that it is a well-designed and well-tested piece of bike luggage. 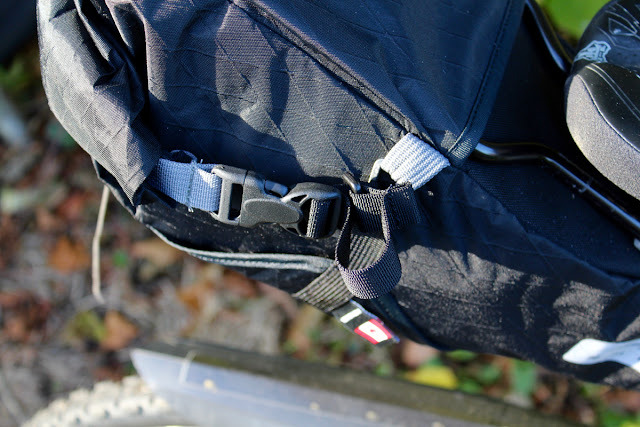 Many bikepacking seatpacks mount to the saddlerails and seatpost with strong Velcro straps; offering a lightweight securing system, which makes them fairly universally compatible across bike designs. However, this method of attachment is also one of the main contributors to the downfalls of seatpacks: notably 'thigh rub' and 'bag swing'. To overcome the issue, the alternative mounting system is to use a rail that the seatpack attaches onto; this does add some extra weight, but it means the bag is a lot more secure, and that it can be positioned further back from the saddle - reducing the chance of rubbing on rotating legs. 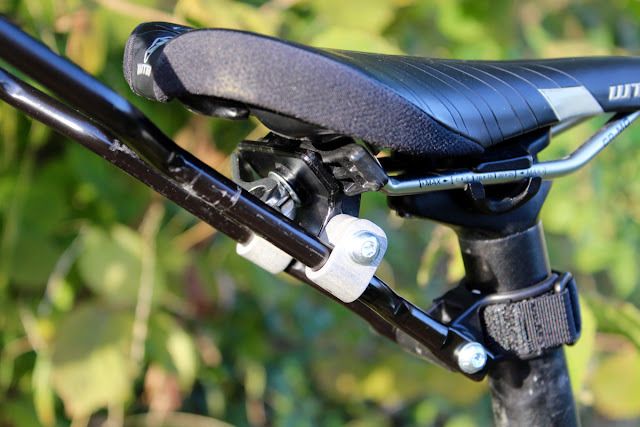 Arkel have adopted the rigid frame design, but they have also developed it further; creating a seatpack that is super solid, but uniquely (as far as I am aware) also dropper post compatible! This is because the system doesn't actually attach to the seatpost at all! Also great news if you're concerned about scuffing your carbon post. Does it work? Yes. The pack is super quick to mount; sliding onto the frame and then strapping into place with one Velcro strap. Once mounted, the Arkel Seatpacker has proven itself to be super secure. Even loaded with a week's worth of shirts, and lunch, on a Monday morning commute, it didn't rattle, swing, or sway. There is no annoying thigh rub either, which both your mind and cycling shorts will thank you for. It seems that the pioneering rigid frame design works. The only element I haven't yet tested on the Arkel Seatpacker is how well it works with a dropper post. However, the design suggests it should, and the only potential prohibiting factor I can foresee, is whether your dropper post will actually have the strength to push up a full loaded saddlebag (I guess you can always give it a helping hand). Bikepacking gets damp, quite frequently. 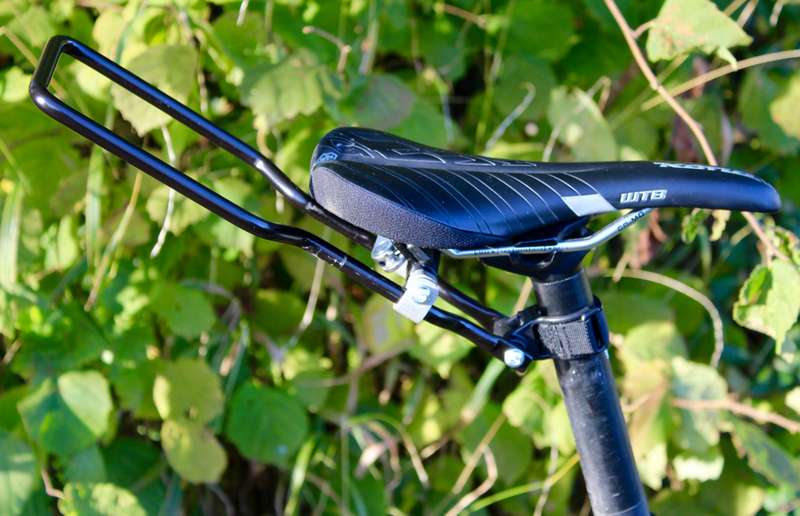 Your seatpack also acts rather like a giant rear mudguard on wet roads, taking the brunt of your rear wheel's spray. These two realities mean that you need your seatpack to be as waterproof as possible, and to not collect or retain moisture. To achieve this, many brands opt for a dry bag, stashed inside a holster - providing a fully waterproof capsule. The disadvantage of this is system is that it limits how much you can 'shape' the bag; it also means you effectively have both the thick dry bag fabric, and the holster fabric in places, which increases the weight and bulkiness of the unit. In an effort to make the Seatpacker 9 as light, as aero, and as unrestrictive on your leg movement as possible, Arkel have opted for the alternative approach. 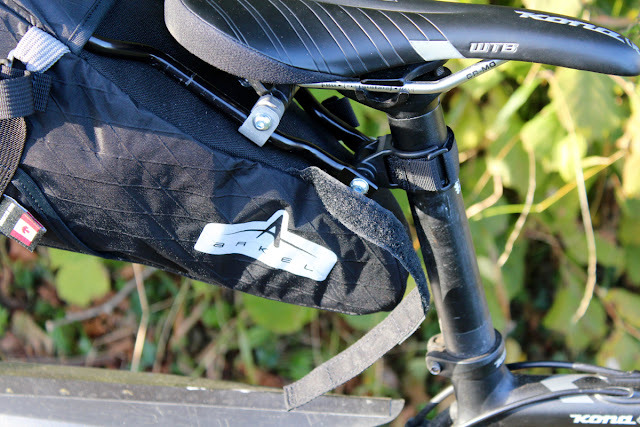 They have produced the Seatpacker as a one-unit system, where the bag itself is waterproof, and attaches to the bike without a holster. The approach works very well. 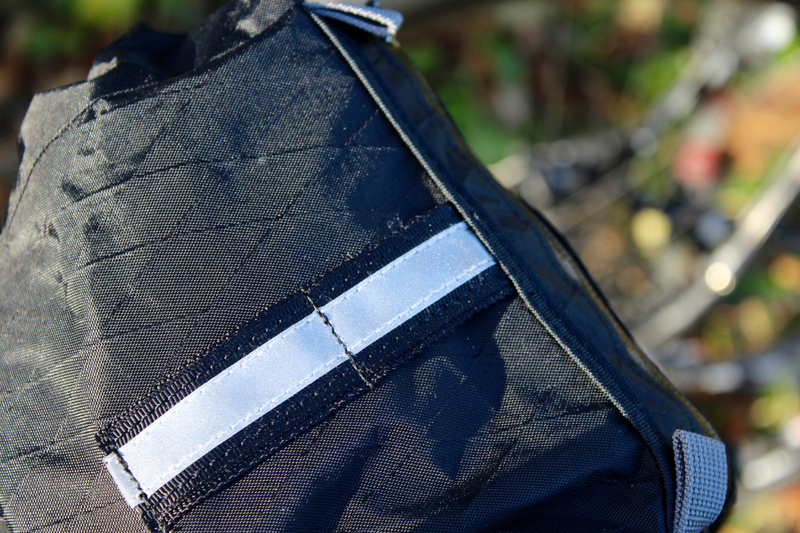 The double-lined taped-seam fabric, with its secure roll-top closure, ensures a fully waterproof capsule. Whilst the semi-rigid top section of the bag ensures that it keeps its shape, and doesn't need to be compressed into place in a holster. It is a design that helps to keep the weight more evenly distributed within the bag as well; with the narrow 'nose cone' avoiding the tendency for heavier items to shake their way down to the front of the bag, where they are more likely to create a bulge, which bashes against your rotating thighs. Good innovation. To conclude, Arkel seem to have done it again, with the Seatpacker. They've taken the concept of a seatpack, and then much like I've seen them do with a handlebar bag, panniers and trunk bag, they've improved upon the norm. The Arkel Seatpacker 9L (it is also available in a larger 15 litre version, not tested here) is a compact, durable, aerodynamic, secure and dry way to transport kit. The now expected Arkel quality finish is evident; in everything from the buckles to the bracket bolts; creating a build level that is capable of any kind of touring you can throw at it. 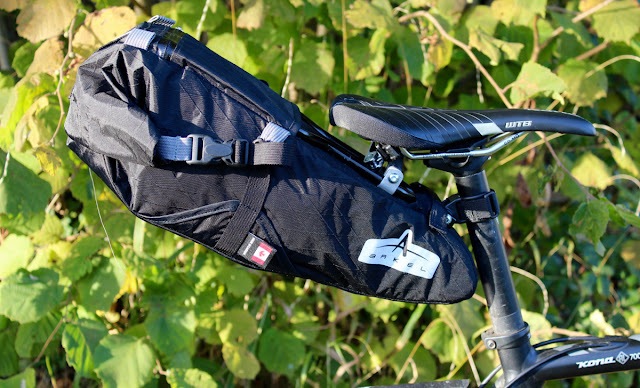 No more thigh rub, no more bag swing; just a safe and secure means to carry kit, without the requirement for a pannier rack.